Thousands of items, valued at $7,700, were collected during the two-week drive to fill 500 backpacks with supplies, benefitting 500 children. After collecting the donations, team members invested 21 hours sorting the supplies and delivering them to the organization to ensure the supplies would be distributed in time for the students to begin school with the tools needed to be successful. “It was very heartwarming to see so many of our team members, homeowners and our David Weekley Homes chaplain get involved in this meaningful drive to benefit the students and teachers in our community,” said Rachel Blackwell, a project coordinator with David Weekley Homes. 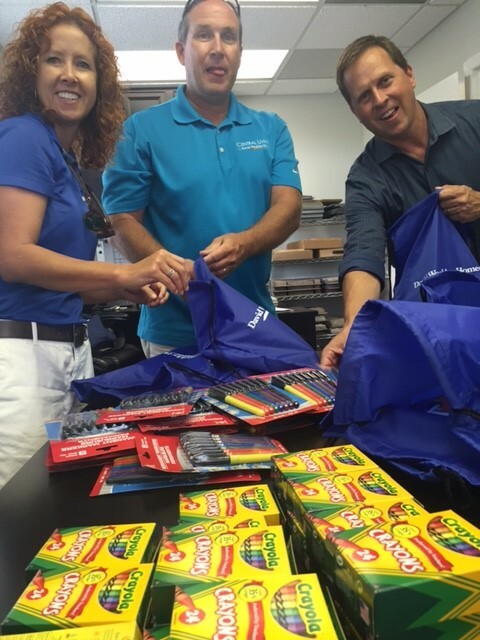 Team members from David Weekley Homes sort through more than $7,700 worth of items collected during the company's second annual Back to School Supply Drive to benefit A Gift for Teaching. A Gift For Teaching is an organization that provides free resources and surplus materials to teachers for their students in need.